DETROIT, Mich. — Marygrove College President, Dr. David J. Fike, Ph. D., announced recently the hiring of Steve Bloomfield as Interim Director of Athletics & Wellness, effective immediately. 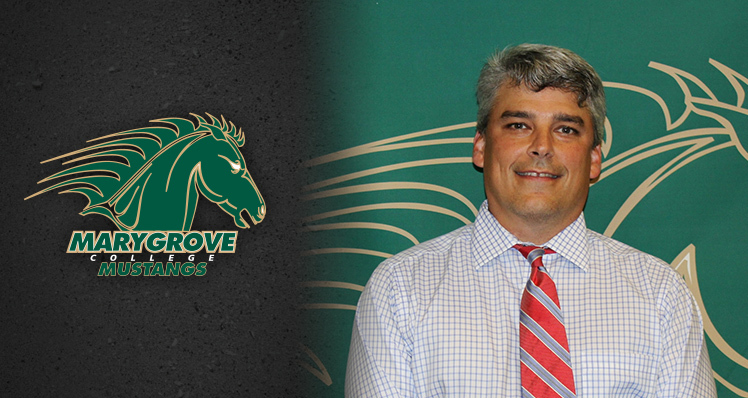 With the announcement, Bloomfield becomes the program’s second athletic director after Dave Sichterman stepped down to accept the AD post at Olivet College. Bloomfield will look to continue the growth of an athletics program that enters their second year in the Wolverine-Hoosier Athletic Conference (WHAC) as members of the National Association of Intercollegiate Athletics (NAIA). Bloomfield comes to Marygrove with a wealth of experience in higher education after spending the past 14 years at Jackson Community College. During his time at Jackson, Bloomfield engineered several major projects as lead administrator for a variety of departments. In his most recent role, Bloomfield led the expansion of the athletics and housing programs as Assistant Dean and Athletic Director for the past seven years. While serving as Assistant Dean and Athletic Director, Bloomfield was responsible for the development and implementation of a new campus housing program and the reintroduction of intercollegiate athletics after a 26-year hiatus. In 2006, the community college director brought on six intercollegiate varsity sports. By 2008, the sport offerings nearly doubled as Bloomfield showcased his vision for athletics expansion by adding five new programs to the growing athletic slate. The 11-sport department ranked second in total sport offerings in the 19-member Michigan Community College Athletic Association (MCCAA). A former student-athlete, Bloomfield played two years of college football at Ohio Wesleyan University before completing his undergrad work and receiving a bachelor’s degree from Albion College. He received a master’s degree in Counseling and Human Relations from Northern Arizona University. Bloomfield resides near Jackson and has two children, Daria, 15, and James, 11.